What Features Should I Look For When Buying A Room Divider? 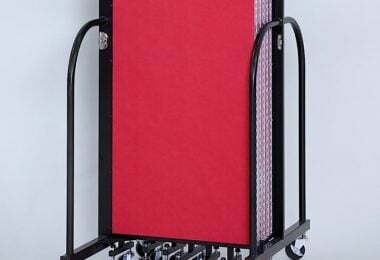 Freestanding room dividers are built to be portable, durable and flexible. Room dividers are approximately 2.5′ x 3′ when closed. Roll your divider into place and set up in seconds. Create an infinite number of configurations. 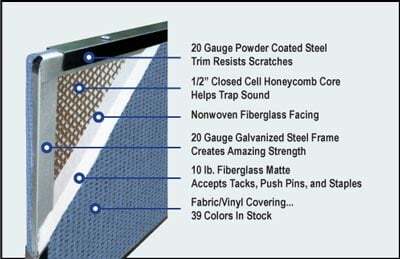 Let’s take a look at the quality features included in every Screenflex freestanding room divider. You should look for these features when buying a room divider for your facility. Four corner casters are self-leveling, locking and non-marking. 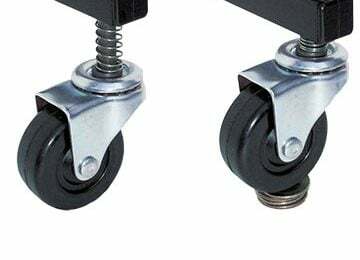 Casters can withhold up to 600 lbs., and use a ball bearing technology. 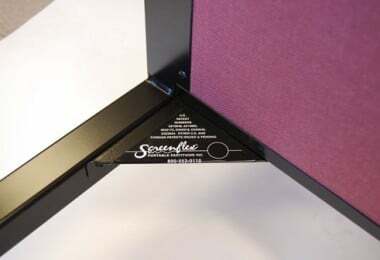 Your divider will glide effortlessly across the floor making set up easy. 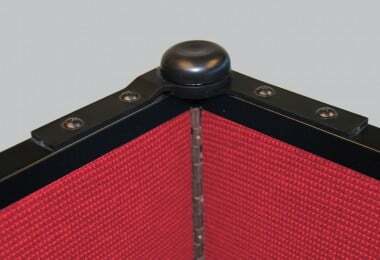 Our freestanding room divider panels are constructed with a 1/2″ honeycomb core wrapped with two layers of fiberglass facing that helps to trap sound. Panels absorb up to 65% of the sound in a room. On the top of each hinge is a position controller that locks the panels in place. Made of ST 801 Super T Nylon…flexible, and yet tougher than nails. For maximum stability, our end frame is designed to be wide and lower to the ground. This design lowers the unit’s center of gravity, making it incredibly stable and also makes the divider easier to roll and pull. Clear vision provides safe and easy transporting. Your room divider is equipped with two injection molded storage latches that secure your unit in a closed/stored position. 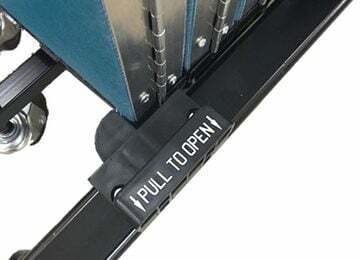 Your divider will incur the most physical wear and tear when your divider is being moved, so we add extra support where it’s needed by adding a gusset plate at the bottom of the end frame. Don’t forget, we also offer free space planning for your facility.